I have a large house with the front mostly brick, but the sides and back are old wood siding that is clearly peeling and rotting. I’d like to replace it. A friend in the construction business recommended using cement fiber siding as the most durable, especially here in Nebraska where we get some pretty good storms with hail and the occasional tornado. My friend also suggested using cement fiber siding that is double thick to better withstand hail and wind. He also suggests the paintable type instead of the kind that has color incorporated. I was wondering what your thoughts are on these suggestions. I think your friend is giving you good advice. I am not sure you need the 5/8″ thick siding but I am from NC where we don’t usually get as many severe storms as you may in Nebraska. Cement fiber siding is a superior product, but just as with most things in the construction industry, The quality of the installation is as important as the product. Review the installation instructions for the brand you choose and discuss them with the installer to ensure they are familiar with and use good installation practices. Using the right nails and proper placement of nails and flashing is critical to a quality installation project. Unless it is not financially viable I also urge you to consider using cement fiber siding trim or PVC trim boards or a combination of the two. There are not as many trim profiles available in fiber cement as in PVC but between the two any existing trim profiles can likely be duplicated. Even though using these products instead of wood will increase your costs initially, they will more than make up for the investment over time by reducing your long term maintenance costs. Like your friend I also recommend using cement fiber siding that requires painting. In my experience a project completed with regular cement fiber siding and sound trim boards and that is properly caulked and painted looks better and provides better protection than the pre-finished siding would provide. One venerability that cement fiber siding does have is wicking water up through any exposed edge that is too close to adjacent surfaces. 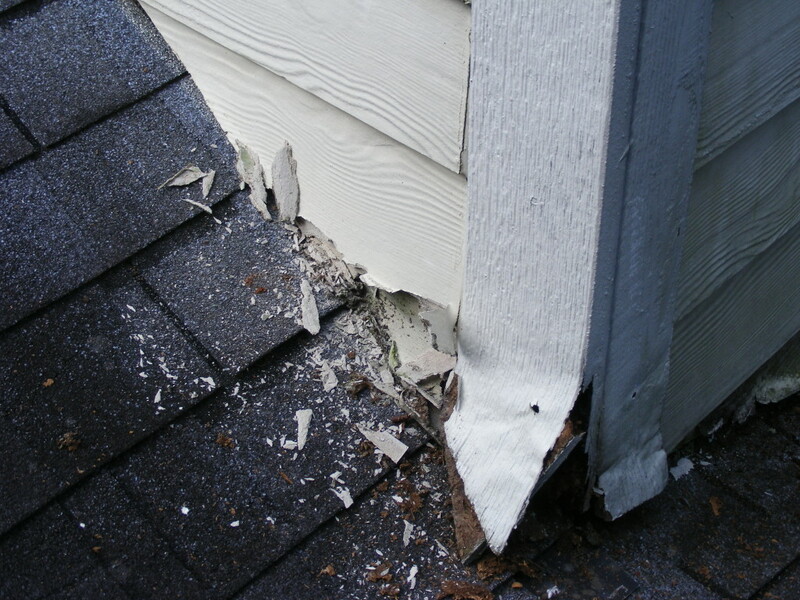 Areas where the siding is angle cut to match a roof line or in areas where it may come in contact with brick steps or the ground are often difficult to seal along the lower edge. Water that is absorbed in these edges may affect the adhesion of the paint in that area causing it to peel or flake off. The water itself doesn’t really negatively affect the siding which will eventually dry back out. However, if the wet siding is exposed to freezing temperatures, the water can freeze and expand, causing structural damage to the siding. 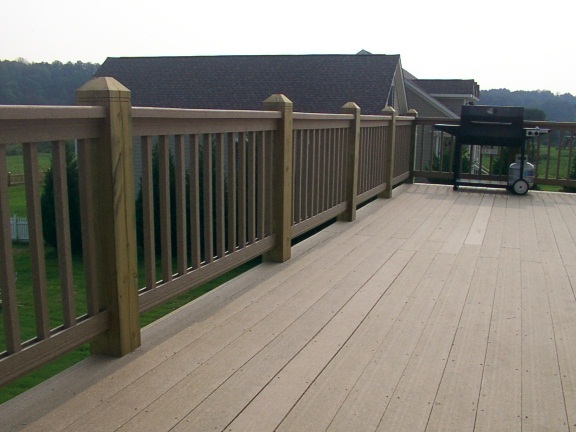 Over time this can have the effect of pulverizing the lower edge of the siding to the point that it will require replacement. This can largely be completely avoided by properly utilizing flashing, keeping an appropriate space between the edge of the siding and any surface to which it can’t be caulked and sealing the exposed edges. I hope I have been of some use in helping you make a good decision in this matter and good luck with your siding project. I liked your suggestion about using a fiber cement that you can paint over. My home is pretty old and I have been considering updating the siding of my home. So, I like that you pointed out that there is an option that you can paint. That does seem like it would help me match the colors around the rest of my home.